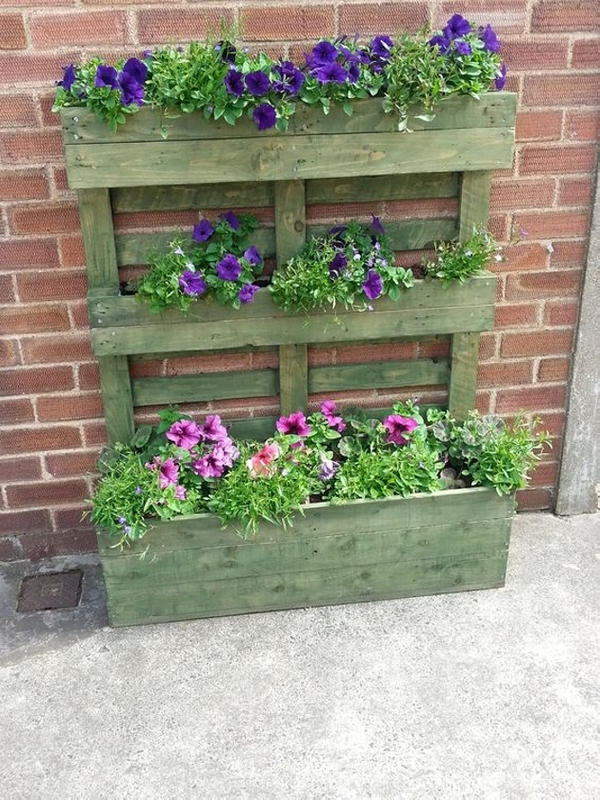 I think making a wood pallet planter could just be the best thing for the beginners as they don’t need to go for some complicated procedures throughout, the pallet wood planters are the simplest creations made using the wood pallet. And on the other hand they are also very important in our daily life. This is a great substitute of a full fledge green landscape. 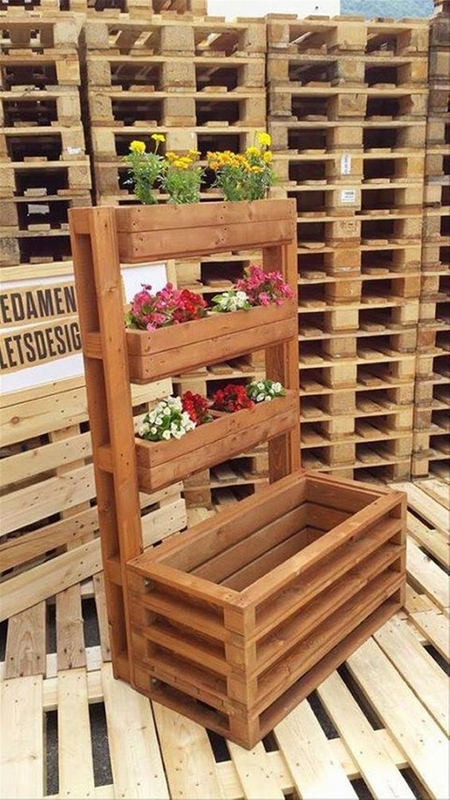 You can plant all the desired herbs and plants including some annuals in these pallet wood planters. 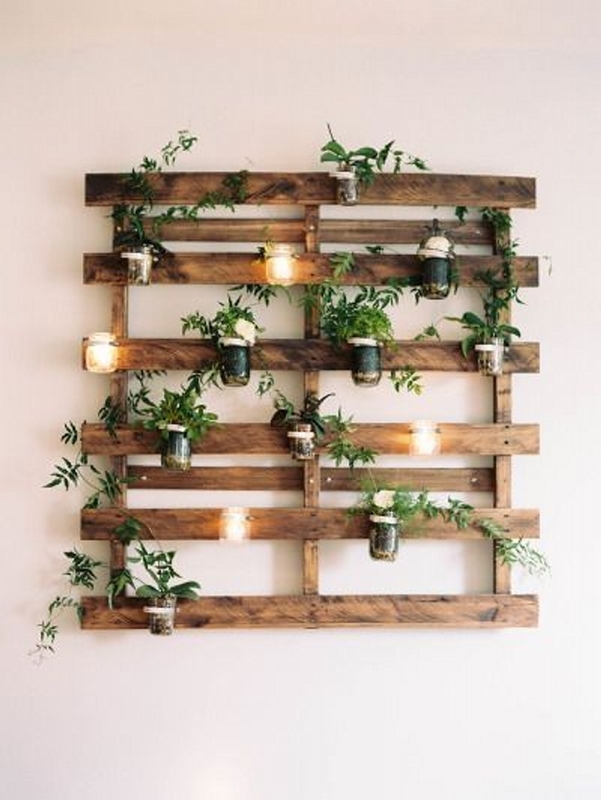 So just to inspire you guys we are bringing some of the finest pallet wood planter ideas right here. 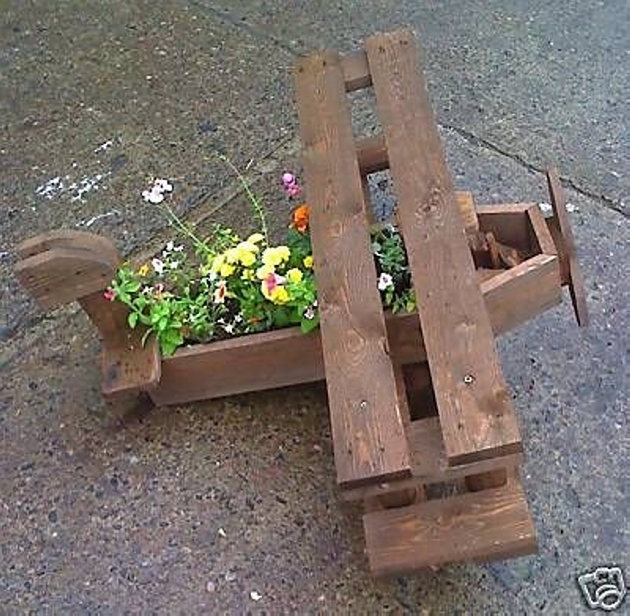 This planter actually made as the caricature of a flying machine is just made with the intent to make it look fabulous while lying in your garden or patio. 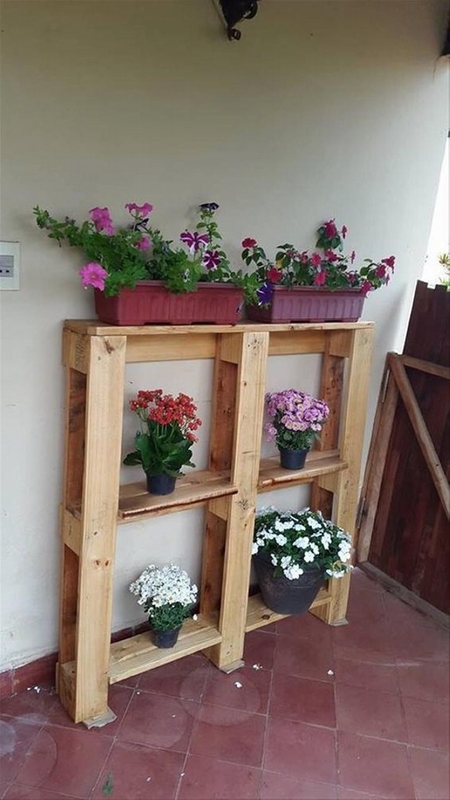 We can see that the roughest shipping pallets are used here in recycling this beautiful pallet wood planter. 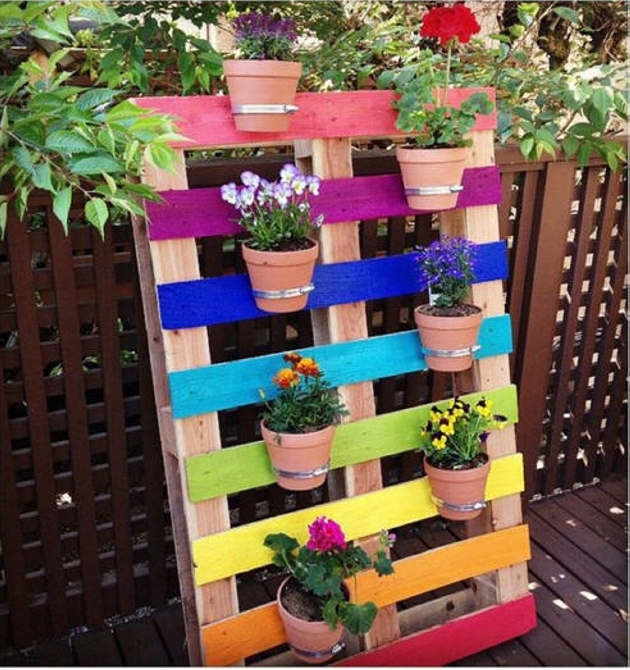 And this multi colored pallet wood vertical garden is a classic example of the wooden pallet recycled planter. We have mainly focused on the beautification of the wooden planter that’s why we have used some shocking colors here. 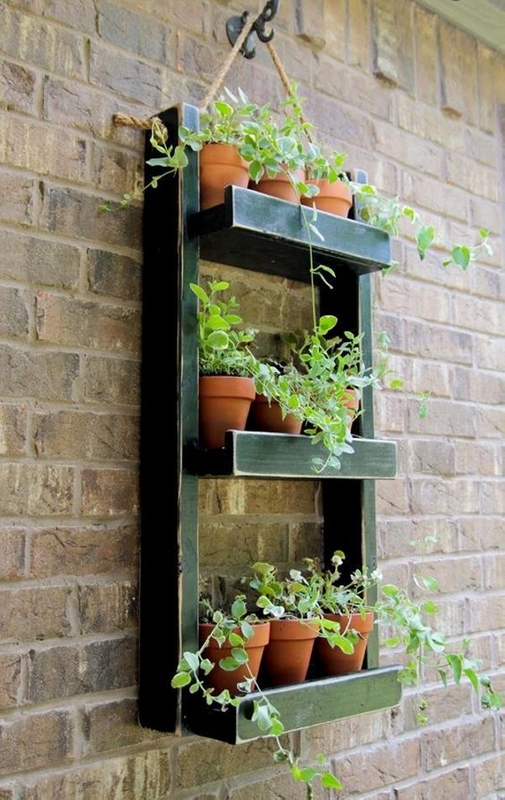 This makes a perfect pot planter, hang different annuals and shrubs as well if you feel like. This design is slightly influenced from the room dressing table that is commonly seen in every house hold. We made it multi tiered intentionally, just to have some excessive space for planting multiple herbs and shrubs on the same pallet wood planter. And I think it really did a great job. 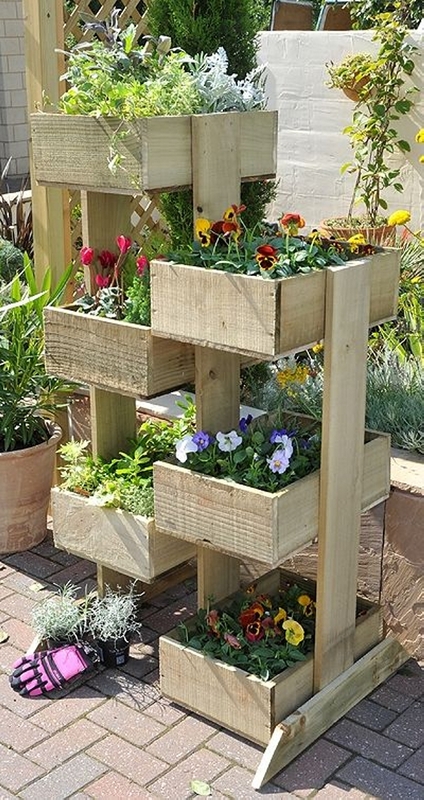 This tall pallet wood planter tower is yelling out loud that if you are a smart pallet wood crafter then you must not go out there in the market, you can have it all at your own by recycling various pallet wood planters for your garden. 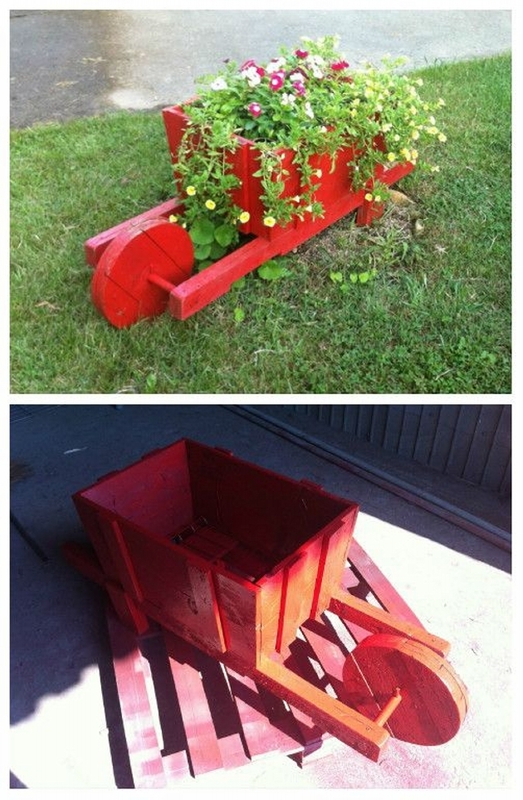 Well, to me this is more of a decoration piece than a mere wooden pallet repurposed planter. Sometimes you might feel like bringing about some change in the way you normally display different planters. This wooden shelf with different racks would allow you some ample space to line up a large collection of your planter pot on this. 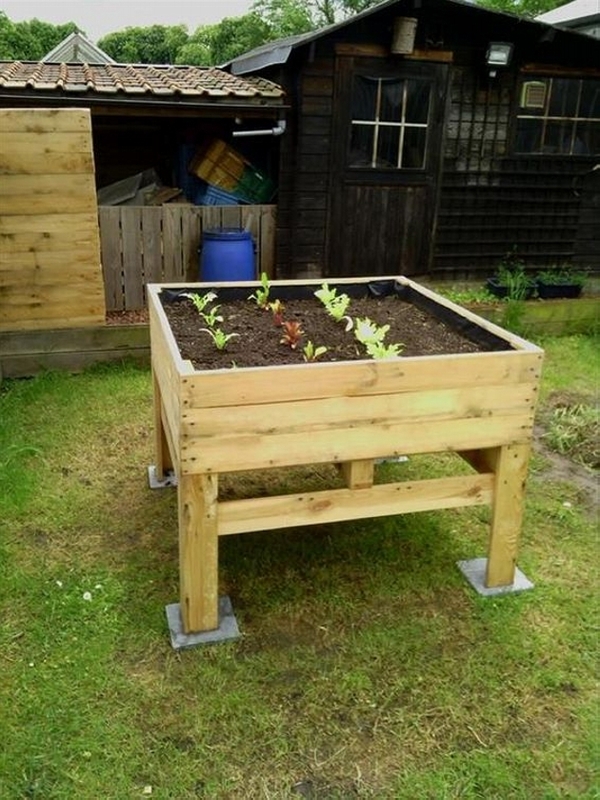 And here comes a classic example of the wood pallet planter. Made with the most deteriorated pallets, this still looks great they way it is made and installed along the wall. The smartness of the crafter has camouflaged all the flaws of the pallet wood planks. We just thought to get more creative and artistic, so here we have used another common accessory that we have used in countless projects. We made the use of common mason jars as a planter pot, and we hanged them inside the wooden enclosure made with the same wood pallet. 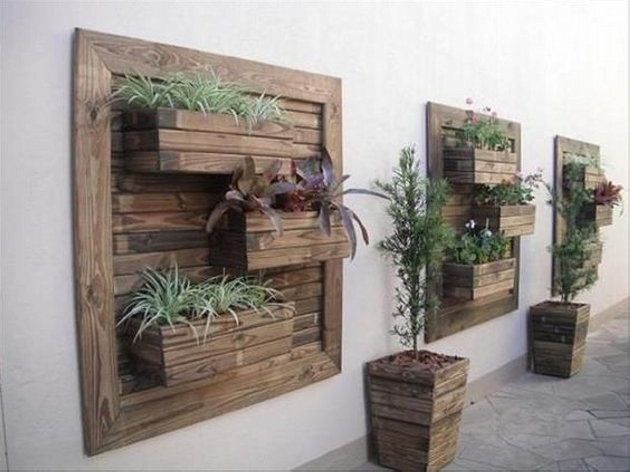 Such pallet wooden planters really look cool on the walls. Wood has got its own charm and impact that is simply unmatched. We didn’t bother much about the staining so we did it just roughly. But the design and size is undoubtedly ideally planned.